Business owners know that they have to go online with their businesses, because if they do not do that the competition is going to overrun them. Choosing the right payment solution provider is a tiresome job when you are in a high-risk business zone. This Maverick BankCard review may help you reach a decision. This is not as easy as it looks, not only that you need to set up everything such as web page and so on, but also you have to deal with enabling your customers to pay for your services or goods via the Internet. This part is essential if you want to increase the level of your profit, and to enable this you will have to get a merchant account, and one can be obtained at Maverick BankCard Inc. This is one of the payment processor providers, and there are many more solutions they offer about which you will read in this article. This merchant account provider is on the list of the top merchant providers available worldwide. The services of this company are impeccable because not only that you will enable your customers to pay via the Internet, but you will also make it possible for them to pay in various forms of payment. You will be able to accept bank transfers, credit card payments, debit card payments, ACH payments and mobile payments as well. The more options you present to your customers the more likely it is that you will increase your profit. There is a certain problem with merchant account providers. They tend to have huge fees and rates which most of the companies are not willing to pay. 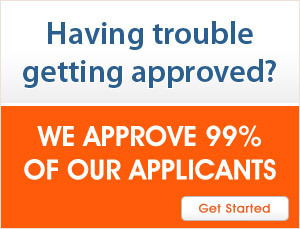 This is not the case with Maverick BankCard because their rates are quite affordable. Due to that you will also be able to set up a high-risk merchant account which is also essential if you’re one of those businesses that can’t be easily trusted then the fees in total are around $255 and per month it’s $25. Establishing a high-risk merchant account is hard and expensive, but Maverick BankCard offers some of the best solutions to that. You can earn money with this company because there is an option to re-sell their solutions to other companies. If you’re hired as one reseller, then you will have a certain percentage of the money which they collect for their services. This is a great think if you’re at the same time using their services because it will come cheaper for you then. In this line of work, customer support must be available at all time, because even a slight stoppage in money flow can be a disaster. You will be able to contact the support of Maverick BankCard Inc. 24/7 and resolve every single problem with payments in no time. They are truly responsive, and you can contact them via phone, live chat or via e-mail. The security is of the imperative when it comes to doing high-risk business via the Internet. This is simply because you can lose all your money in an instant, and you can put your customers in danger of losing theirs as well. 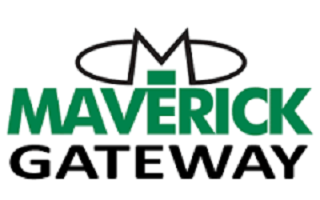 That’s why you need a trusted merchant account provider such as Maverick BankCard.